Passion #1® comes to you with our highest recommendations. It is one of the best green outdoor varieties available anywhere, and has been ever since it hit the scene in the 1970’s as a legendary Californian Indica. 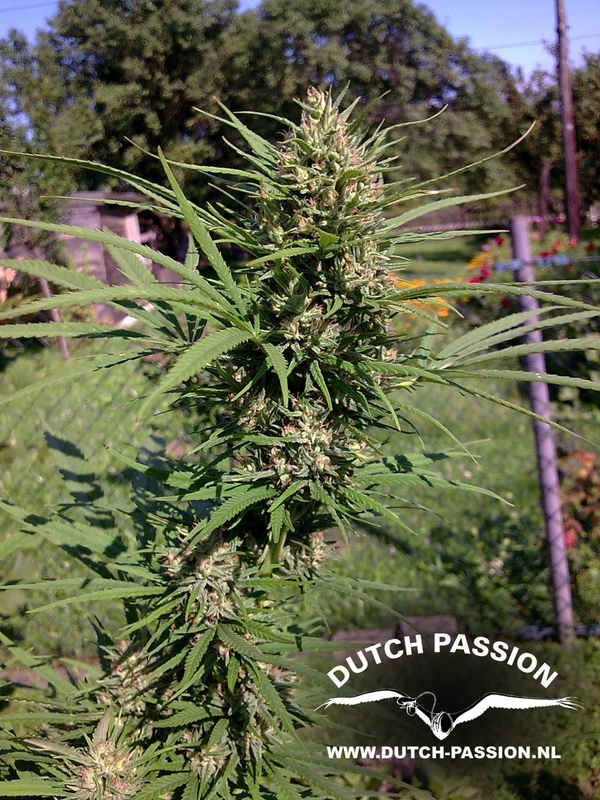 Passion#1® made its way to Dutch Outdoor growers in the 1980’s thanks to Dutch Passion and has established a reputation as a strong, stable strain that is easy to grow. If started early in the season, Passion#1® can reach 3.5m tall, though 2m is more typical. Yields can range from 250 grams to as much as 750g from large plants that can reach staggering proportions when grown in optimum conditions. 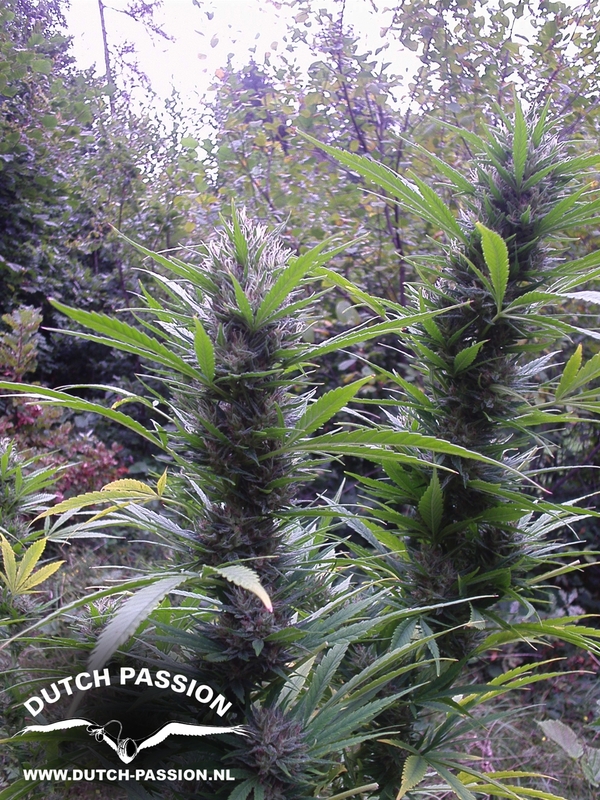 Passion#1® grows long and compact buds that are heavy with resin, this is a variety developed only for outdoor/greenhouse and is not for the indoor grower. When you trim this plant remove only the large fan leavers, the smaller leaves are often dripping with resin. The smoke is soft and gentle with a fresh citrus aroma, then Passion #1 hits you quickly with a strong exhilarating ‘up’ high. Smoke a little more and you will notice a strong, heavy and pleasurable stone. 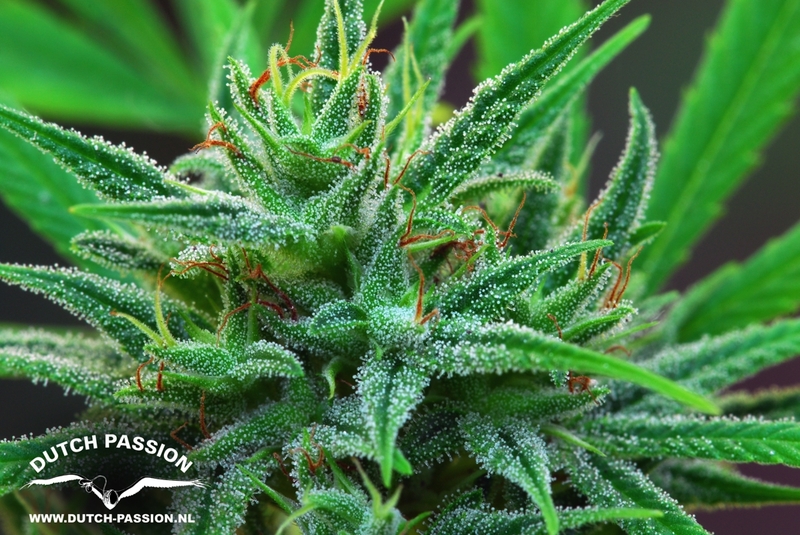 We have measured Passion #1® with THC levels approaching 20% making this a genuinely satisfying selection for your outdoor garden or greenhouse. 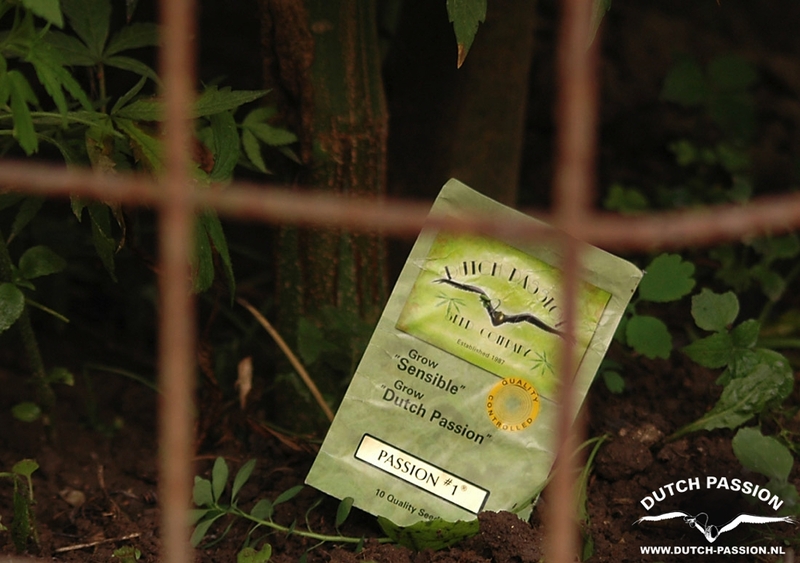 This is another strong and stable Dutch Passion outdoor variety which has maintained its presence in our seed collection over several decades. A variety you will want to grow again and again…. The fact that this variety finishes very early makes it a great choice for regions where the month of September and October can often be wet and cloudy.I have had so many plants damaged by Botrytis mould that now I only grow the early finishing weed, this is one of the best outdoor varieties in temperate climates.It can be cut and dried by mid September, which is just great. i cant wait to grow 10 of these next season hoping for 5 oz a plant :) loads of free meds. Thanks guys. It wouldn't surprise me if it actually said 18.5% thc back then for Passion#1 Aka Amstel Gold & my memories playing tricks on me! It may explain why it always seemed stronger ! Still a superb outdoor plant, easy as pie to grow, light Citrus smell/Taste & you can't beat outdoor grown. Buds tend to be larger on plants grown nearby, ie the back barden where they can get more attention, Guerilla plants can get leggy with lower yields if placed in low light, so make sure to pick a good plot. I grew 4 Passion#1 Guerrilla style in the south of England (2014) . All were harvested by the end of Sept, the earliest being mid sept which is very impressive for a UK grow. She is rapid in flower and vigorous in veg. The buds can be a tad leafy but this adds to the mold resistance, which to be fair is really, really good. Trichome production is also very good, and as per the breeders blurb I left the buds looking leafy as there is an abundance of trichs on the small fan leaves. Smoke wise its strong, a really heady high initially that chills out to be a well rounded high, this isn't couchlock material though, its feels kind of hybrid as opposed to pure indica. Taste is old skool, very fruity, almost like lemongrass, slightly aniseedy, diesel/citrus. Quite lung expanding. The quality lies in the high for me, and its quick finish. I would grow gain for sure. Cheers DP! Can you grow this plant indoor??? Grew this stuff in 2004 and still have not found any weed as strong as this in the past ten years. My friends and I still talk about how great this weed was. I need to try again next spring. It's been way too long. Was amazed by the potency and effect of this outdoor bud, far superior to most indoor weed interms of high/stonedness. All 3 plants where topped and went to over 2m tall. had lots of small buds around 60-70 per plant dry and summer was crap this year in NL. Will be a regular now, although depending on how these Think Diff Auto'sI have just bought go might give them a bash outside May to July and June to August. Grew about 5 of these out guerilla style in UK. Did pretty well slight mold but nothing to bad, spot was not best bit shaded and no morning sun which would not have helped. Taste very citrus and high is very strong. Dense nuggets and good bag appeal. Not the highest yield but possibly due to location and beginners inexperience. Certainly worth a crack if into citrus style smoke with good strength. Old skool citrus type of flavour. I have been growing Passion #1 in my greenhouse, here in Denmark, for years on and off. The main two things you are having to remember with this strain is that this is a reliable variety and my god it is STRONG as well. Apart from that you will have fun seeing this variety grow. She thrives during the flowering and for me it is the only variety you will ever need.